The debates left right Center are mostly around Demonetization. After PM Modi ji's declaration to ban old 500 & 1000 rupees note, people around are still aren't that stable so far. But the word, the method and the step is not that new to the world. Countries has witnessed such situations before we did. Here are few of them. 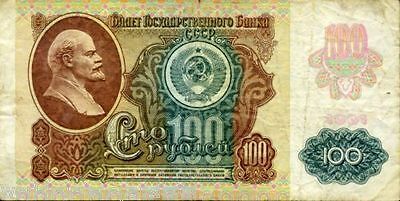 The currency notes of Ruble 500 & 100 were banned in 1991. The step taken by Mikhail Gorbachev Government wasn't that successful in the country. In 1971, circulation of existing pond and pens currency was stopped and bought coins of 5 and 10. The change was planned from approx last 2 Years. In 1984, Muhammadu Buhari started new currency notes bring economy in stable position. Buhari's this move was a drastic hit to the country's economy. In 2010, dictator Kim Jong-2 decided the currency denominations to curb black money menace and tightly control the economy. But the results very adverse Price of necessary goods increased. People were left out without food & shelter. In 1982, to control black money in the country by currency notes of Cedi 50 were demonetized by govt. However this made the economy weak as people started investing in physical assets. $100,000,000,000,000 note. Yes, a one hundred trillion dollar note was in circulation in Zimbabwe. It was worth around US$300 when issued. In 2009, After demonetization Zimbabwe's central bank allowed its citizens to exchange the country's almost worthless currency for USD. And the note was worth just 40 US cents. In 2015, Demonetization was notified to people in Pakistan. But people of Pakistan had one-and-half year time to exchange these notes. This move failed. In 1969, US President Richard Nixon announced all bills above $100 null and void. They did it passively by stopping the printing of large denomination notes, so even though these currency notes are legal tender till today but they are no more in the system. So yes in a way, they did took high currency notes out of the system. But times back they did for "Hoarding of Gold"